Injuries at work can occur suddenly, such as a slip or fall, or slowly over time with repetitive strain on an area of the body. Work injuries are a stressful period for those involved. Recent changes to WorkCover now allows early access to Physiotherapy services. Some of the most common work injuries seen by Physiotherapists are due to over use. Overuse injuries develop when a worker repetitively overloads their body during activities such as lifting, typing, gripping. Symptoms can arise due to damage to soft tissues such as muscles or tendons. Overuse can also be related to poor working conditions and incorrect work environment setups. Back and neck pain are commonly seen in office workers and also workers who have physically demanding jobs. Poor posture, inadequate muscle strength and poor work environment can contribute to back and neck pain. 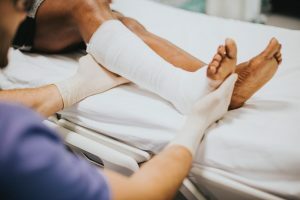 At Physiotherapy Professionals Parramatta, we not only treat your work injury, but we will work with you, your GP and your employer to develop a plan to return to work. We will also design a return to work program which will involve stretches and exercises to ensure you minimise your chance of re-injury.